After providing a comprehensive review of the fundamental aspects of farrowing (physiology, facilities, organisation, etc.) in the first volume, in this second volume the authors focus on the next phase, lactation. 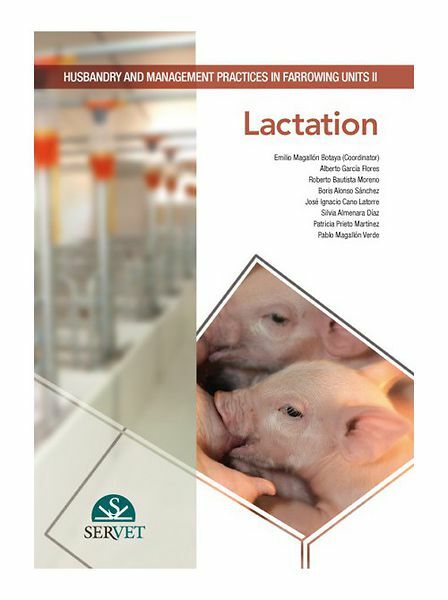 From the technical and physiological aspects that affect both the mother and the piglet, to production targets, feeding, health programmes on the farm or personnel management. These are topics that will undoubtedly be helpful in the daily practice of professional veterinary surgeons. As in the previous volume, the authors have achieved a very practical book with rigorous contents, based on their experience and technical literature, accompanied by a large amount of visual material to complement the information given.